Paying for Moorings: fee, tax or rent? NEWPORT BEACH —As many as 200 people attended any one of the Newport Beach Harbor Commission’s series of workshops on mooring fees to chime in on the discussion. What came of those workshops, held in March and April, was a recommendation to adjust mooring permit and transfer fees. Specifically, commissioners recommended the annual mooring permit fees be set at $25 per foot. A 30-foot boat, for example, would be assessed $750 annually in mooring permit fees. The fee would also be subject to a consumer price index increase each year. Mooring permit holders currently pay about $55 per foot, which is based upon a percentage of the average annual cost of mooring permits at other private marinas. Newport Harbor, of course, is city-owned. Commissioners also recommended a mooring could also be transferred once per year. Harbor Commissioners have not yet settled on a recommendation of how the city would assess the fee. Currently, any mooring transferred to a family member or trust does not incur a fee. For all other transfers, commissioners are deliberating between assessing a fee equal to what the city would receive for the annual mooring or 5 percent of the sale price. These fees would only be assessed to anyone attached to a city-owned mooring; there are also county moorings in Newport Harbor. 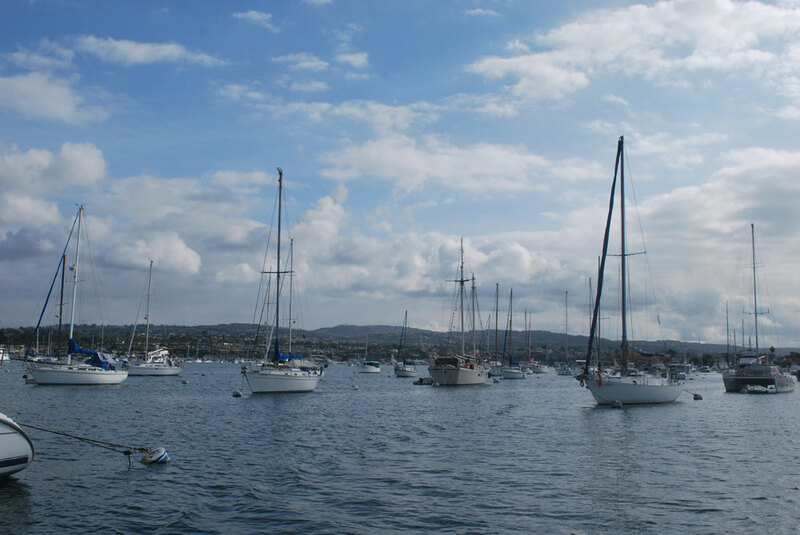 Balboa and Newport Harbor yacht clubs manage their own mooring fields and rent them to members and transient users. The recommendations are far from set in stone, as the workshops were helmed by only four of the seven commissioners (Chair Brad Avery and Commissioners David Girling, Duncan McIntosh and Joe Stapleton). Its policy suggestions still needs to gain the approval of Newport Beach’s City Council. As the suggestion moves up the civic ladder and eventually makes its way to the City Council, one question might continue to be asked as has been on at least two occasions: how should the city classify the money it receives in exchange for a mooring? During the workshops, Harbor Commissioners suggested the money collected in exchange for a mooring was a rent. One Newport Beach resident told commissioners at an April 7 workshop a government agency may collect only three types of payments: taxes, fees and fines. One mooring holder asked if she would be eligible to vote in Newport Beach if the city labels what it collects from her as rent. Others believed the city actually intends to impose a tax on mooring permit holders. “The city has used the word ‘rent’ to camouflage tax,” said Brian Ouzounian, a Newport Beach resident and mooring permit holder for more than 40 years, adding the Harbor Commission made a “safe” recommendation. Another question raised at the workshops was whether any increases to mooring fees is a violation of Proposition 218, which protects against abuses in how assessments and property-based fees are used. Avery said a mooring permit holder might physically own the weight holding a boat in place but the rent actually applies to the tidelands. Meanwhile, the city of Newport Beach maintains Proposition 218 does not apply in this situation. The state’s Legislative Analyst Office (LAO) pointed out Proposition 218 amended the state’s Constitution in 1996 to require taxes and charges on property owners be approved by voters. Newport Beach Assistant City Attorney Michael Torres agreed fees and taxes are two ways in which a government can collect money. A fee, Torres explained, can only cover the cost of a service offered by the city. Payments exceeding the cost of a city service but are used to benefit the general public, such as building roads or compensating police officers, are taxes. Government agencies may also assess a fine or penalty, Torres said. Torres added a rent charged to mooring holders to use a portion of government-owned property is neither a fee, fine or tax but instead the city acting in a proprietary capacity. It is this ability to charge rent for use of city-owned tidelands property Torres says makes Proposition 218 inapplicable. The assistant city attorney explained Newport Beach is acting as private citizen and landlord, allowing the city to charge a rent, at fair market value, on any land it owns. The assessed charge would be no different than a homeowner renting his or her residential property to a tenant. “The city owns property. If someone wants to use the property, we’d charge a rent. We’re not providing a service. It’s a private market,” Torres said, adding boaters have the option to take their vessel out of the harbor and dock elsewhere, whereas a homeowner cannot physically uproot his or her home. The Harbor Commission could make its recommendations to the City Council within the next few months, though a specific timeline has not yet been determined.